This compendium of great educational materials will save your life! My name is Dr. Alex Denes, I am a dentist and a big advocate of living without sugar. I hope that you will find time to watch the videos presented here, gain some knowledge and let that open your mind about living a healthy life.You will find out that sugar is the number 1 poison in your diet and that it is highly addictive. Also, it will become clear to you that, indirectly, through all the diseases that it promotes (such as diabetes, cardiovascular disease, Alzheimer, obesity, metabolic syndrome, high blood pressure, high cholesterol) sugar is the number 1 killer on planet Earth. Preventing and in some instances partially reversing some diseases is sometimes just as simple as eliminating added sugars from your diet and switching from a processed foods diet to a plant based diet. I am a dentist and practice with my wife Claudia Denes, DDS in Fresno, CA. As dentists we place fillings, crowns, dental implants and treat a myriad of oral conditions. Most dental conditions are caused by excess sugar in a patient’s diet, improper dental hygiene, trauma, sport accidents, periodontal disease, just to name a few. It’s not the dental problems that I am concerned about, it is all the other toxic effects of sugar that have such profound negative effects on your health than just getting a few cavities. I became a big advocate of the sugar-free lifestyle only after 3 months with no sugar when I experienced my own transformation. The results it had on my body energy and wellness were simply amazing, too good not to be shared with friends and patients. None of what’s presented here is a result of my studies or own research. Some videos may be harder to understand without a background in medicine, biology or chemistry while other videos are simply presented in layman’s terms. All research presented here is the direct result of the work and efforts of Robert H. Lustig, American pediatric endocrinologist at the University of California, San Francisco (UCSF) where he is a Professor of Clinical Pediatrics. As all videos are free to watch on YouTube, I just wrote a short intro and link the video directly on this page. The Complete Skinny on Obesity – Dr. Lustig and his UCSF colleagues dig deeper into the root causes of the obesity epidemic. The Men Who Made Us Fat Part 1/3 – Documentary aired by BBC – In the first of this three-part series, Jacques Peretti traces those responsible for revolutionizing our eating habits. Findings of Professor Robert H. Lustig are discussed in the movie. The Men Who Made Us Fat Part 2/3 – don’t think that obesity is a British problem (in spite of the fact that it’s a BBC documentary); the Brits imported their obesity from the U.S. The Men Who Made Us Fat Part 3/3 – makes no difference if processed food is organic or not; you still get fat and sick; it does however make a negative impact on your wallet; eating healthy food and meals that you cook at home is way healthier and much more cheaper. 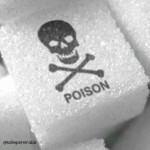 Big Sugar; Sweet, White and Deadly – Documentary about Big Sugar, from it’s early days with ties to slavery to modern times with it’s detrimental effects on the everglades and political ties. Seeds of Death – The leaders of Big Agriculture–Monsanto, DuPont, Syngenta–are determined that world’s populations remain ignorant about the serious health and environmental risks of genetically modified crops and industrial agriculture.